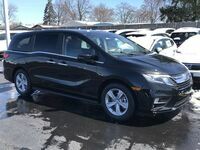 Families looking to get a new vehicle that meets all of their needs will find everything they’re looking for here at Continental Motors. 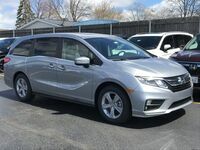 This is because we recently welcomed the new 2019 Honda Odyssey to our inventory, which offers all of the features and technologies parents are looking for in the modern minivan. 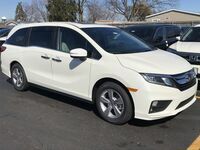 Under the hood, the 2019 Honda Odyssey runs on a 3.5-liter V6 engine that creates an impressive 280 horsepower and 262 lb-ft of torque for an engaging drive that will have you forgetting that you’re even in a minivan. What’s more, the Odyssey is affordable thanks to its impressive fuel efficiency. 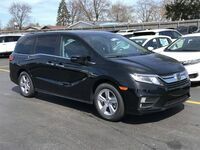 Under proper circumstances, this impressive family vehicle is able to achieve 19 mpg in the city and 28 mpg on the highway for a combined rating of 22 mpg. 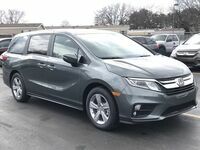 There are plenty of other options available to shoppers as well, with the 2019 Odyssey offering 5 distinct trim levels and two transmission options. When properly equipped, the Odyssey can tow up to 3,500 lbs. adding to its overall practicality. 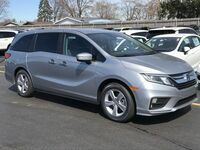 Drivers that choose the spacious and practical new 2019 Honda Odyssey benefit from a long list of family-friendly features and technologies. 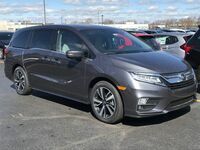 With parents and their kids in mind, Honda has compiled a long list of must-have features including entertainment elements, convenience features, and advanced safety technology so that the whole family can enjoy peace of mind on the road. 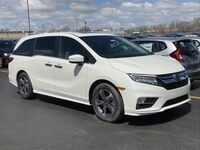 For more information about the 2019 Honda Odyssey or to get behind the wheel of this impressive model today, give us a call at Continental Motors or click the button below to fill out an online contact form and we’ll be happy to help you get behind the wheel of this impressive new vehicle.